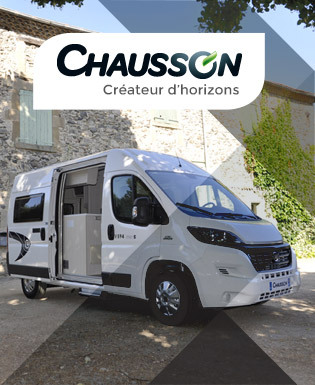 Contrary to most of its “industrial” competitors, CHAUSSON has a background in vans that goes all the way back to the day CHAUSSON entered the camper market. 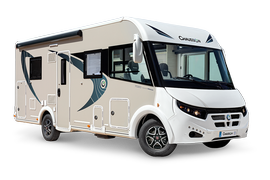 The Odyssée 4000 was the first CHAUSSON model; it was a fitted van and was presented in Paris in 1980. Other models followed: ODYSSEE 4400, BORA 2000, CEDRA, MADRAS, TAIGA,AGORA, TIPI, BORNEO, and many more. 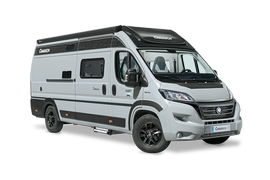 Currently, fitted vans make up a line (TWIST) that is part of the overall CHAUSSON catalog. Nevertheless, this category features a specific structure which is particularly well-adapted to customer requirements. The strength of the TRIGANO group has enabled creating an infrastructure that focuses on the “van attitude”. This infrastructure includes a design office, a marketing team and a plant that manufactures fitted vans only.